ACCOMMODATIONCHOOSE YOUR MUSE AND MAKE YOUR BOOKING! All the home comforts you could wish for and an idyllic landscape – the ideal setting for you to relax and enjoy your holidays. 9 Muses Naxos Apartments for Rent are totally focused on offering you high quality services so you are comfortable, safe and well looked-after during your stay. 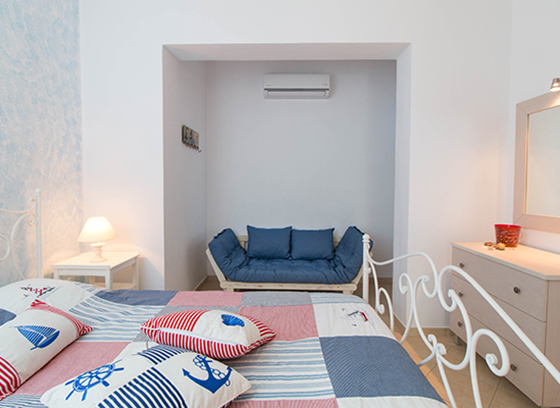 Our spacious apartments are all inspired by the Aegean Sea, and are all equipped with the finest quality furniture and decorated in the traditional white and blue colours of Cycladic architecture. Designed to offer the ultimate in comfort and total relaxation, our spacious rooms and studios let you enjoy stylish luxury and a cultured environment. 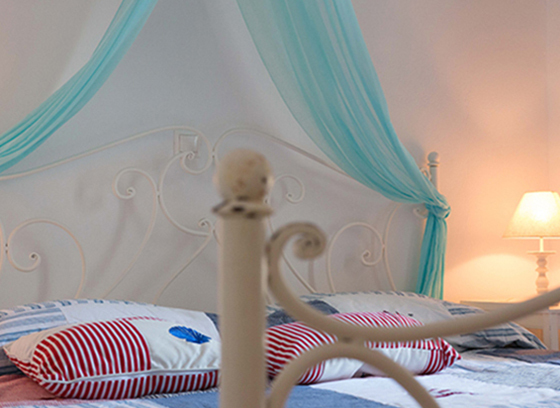 The 9 Muses apartments are fully equipped and have spacious rooms. The smallest apartment can accommodate 2 to 4 people and the largest apartments can accommodate between 6 and 8 people. The apartments feature 2 bedrooms, a living room, a fully equipped kitchen and a private veranda with wooden furniture. These elegant and sunny apartments have sea views & plenty of sunshine. They sleep between 4 and 6 people. Choose your muse and make your booking! Spacious apartment with elegant wooden furnishings. Decorated in colours and tones that exude calm and relaxation. It has 3 bedrooms, 2 bathrooms, a living room, a dining area, a fully equipped kitchen and a private veranda with wooden furniture. Elegant and sunny, this apartment offers garden views & plenty of sunshine. See Thalia Apartment and make your booking! They have 1 bedroom, living room, fully equipped kitchen and a private veranda with wooden furniture. Elegant and sunny, they offer garden views & plenty of sunshine. These apartments sleep between 2 and 4 people.